Vic has been leading and delivering process excellence in the financial services and insurance industries for more than 15 years leveraging Lean Six Sigma combined with change management, program management and organizational design. Vic has successfully designed and deployed organizational change and process improvement initiatives with global companies enabling them to achieve their strategic goals & objectives. He has deep experience working with business and technical teams to deliver desired solutions to complex business problems. He is currently responsible for leading, designing and executing a multi-faucet quality & process excellence program improving business performance while building skills and capabilities across the organization to deliver customer and business value efficiently and effectively. 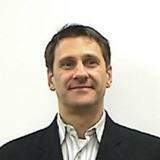 Vic holds an MBA, PMP and Lean Six Sigma-Black Belt certifications. Check out the incredible speaker line-up to see who will be joining Vic.